A massive leak of data from an offshore law firm has revealed that Stephen Bronfman and his Montreal-based investment company were key players linked to a $60-million US offshore trust in the Cayman Islands that may have cost Canadians millions of dollars in unpaid taxes. In the early summer of 2015, Justin Trudeau was the star attraction at a private fundraiser in Montreal hosted by philanthropist and financier Stephen Bronfman. 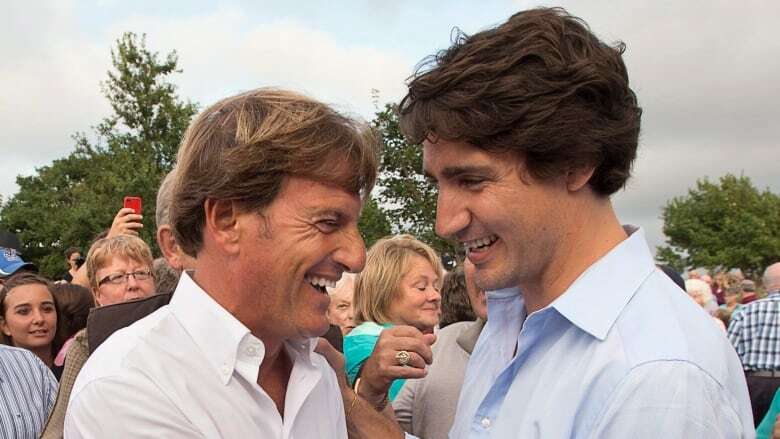 Bronfman, an heir to the Seagram family fortune and a close Trudeau family friend, was revenue chair of the Liberal Party. That day, according to news reports, the two men raised $250,000 in under two hours. Within weeks, the Liberals would launch their federal election campaign, sweeping to power on a "Real Change" platform that focused on the middle class and a promise to tax the rich. "Our government has long known — indeed, we got elected — on a promise to make sure that people were paying their fair share of taxes," Trudeau said shortly after his election victory. "Tax avoidance, tax evasion is something we take very seriously." But an investigation by the CBC, Radio-Canada and the Toronto Star has found that Bronfman and his Montreal-based investment company, Claridge Inc., were key players linked to a $60-million US offshore trust in the Cayman Islands that may have cost Canadians millions in unpaid taxes. It's a 24-year paper trail of confidential memos and private records involving two prominent families with Liberal Party ties that experts say appear to show exploitation of legal tax loopholes, disguised payments and possible "sham" transactions. Is the trust subject to Canadian tax law? 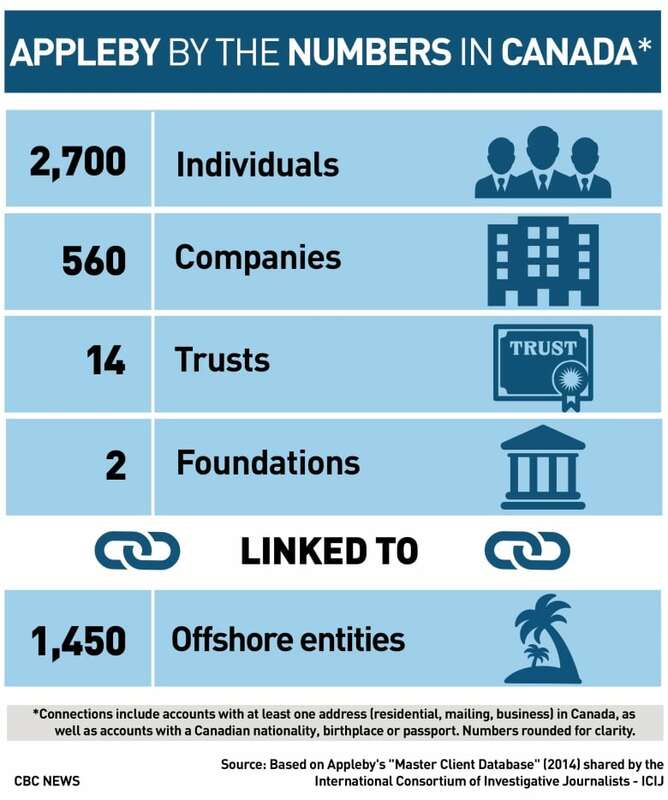 Was the trust managed offshore — or in Canada? Were "gifts" made to disguise payments? Are taxes owed in Canada? "I would say there are lots of red flags, and I would expect tax authorities specifically to be very interested in following up," said University of Florida trust law professor Grayson McCouch after spending two days examining the files. Denis Meunier, a former senior enforcement official at the agency who also reviewed key documents in the leak, said "this definitely merits an audit by the [Canada Revenue Agency]." 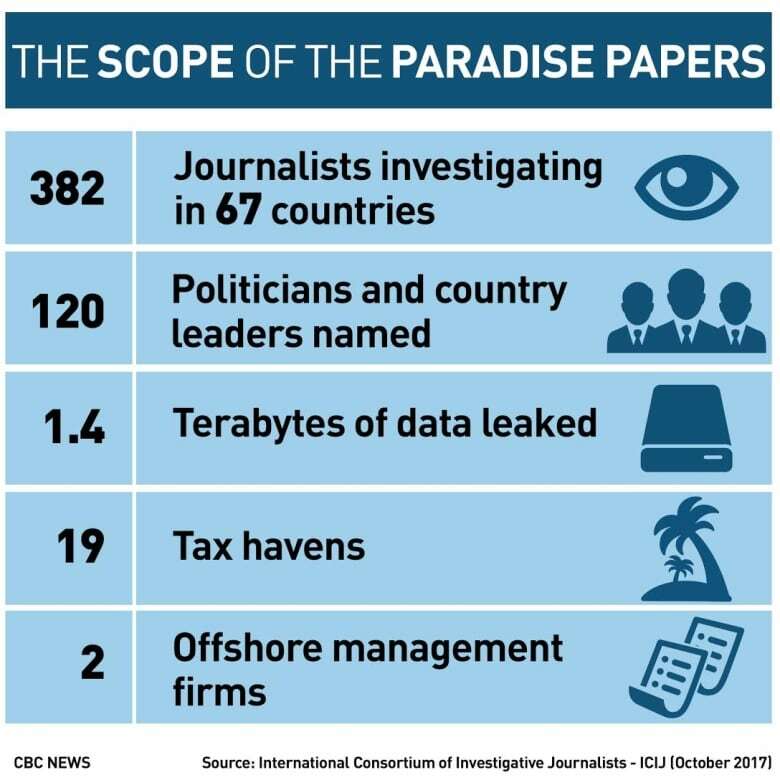 The documents are part of a massive offshore leak released today dubbed the "Paradise Papers," which was obtained by the German newspaper Sueddeutsche Zeitung and shared with the International Consortium of Investigative Journalists (ICIJ). It's a cache of nearly 13.4 million files from two offshore services firms and 19 different tax havens. Seven million of the leaked files come from the corporate law firm Appleby, which has operations in Bermuda, the Cayman Islands and other offshore jurisdictions. The CBC/Toronto Star investigation also reveals how Bronfman's longtime law firm — which also represented other offshore clients — helped mount a lobbying campaign in Ottawa that for several years fought legislation designed to crack down on offshore trusts. At the centre of the revelations is an offshore entity in the Cayman Islands called the Kolber Trust. It was set up in 1991 by Leo Kolber, who at the time was Claridge chairman and also a Liberal senator. Kolber had been a major Liberal Party fundraiser and once jokingly referred to himself as the Bronfman family's "consigliere." The Paradise Papers show that Leo Kolber's children, Jonathan and Lynne, were the beneficiaries of the trust. Internal financial records show they received millions of dollars in "disbursements." In 2007, for example, $3 million US was wired to Jonathan Kolber for "living expenses" and to help purchase a Manhattan apartment. In total, he received $16.5 million US tax-free from the trust. The documents also show his sister Lynne received $1.2 million US. The Kolber Trust had another purpose, too. 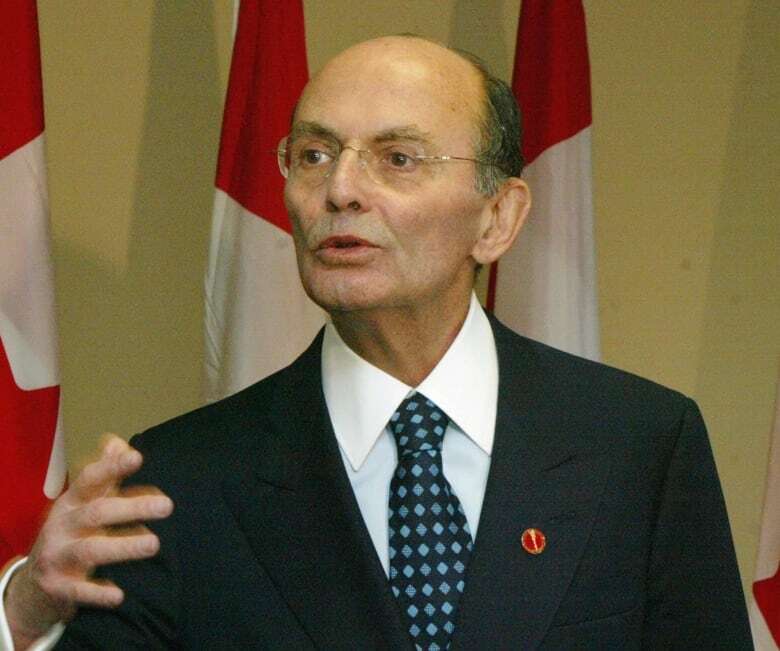 The Bronfman empire was expanding into Israel and, after working for Claridge in Montreal alongside his father and Stephen Bronfman, Jonathan Kolber then moved to Israel in 1991 to head up the Bronfman efforts. According to one memo, "for every dollar the Bronfmans invested in Israel Jonathan's reward was a 15 per cent share" paid through the trust. "This is how and why the trust was set up." 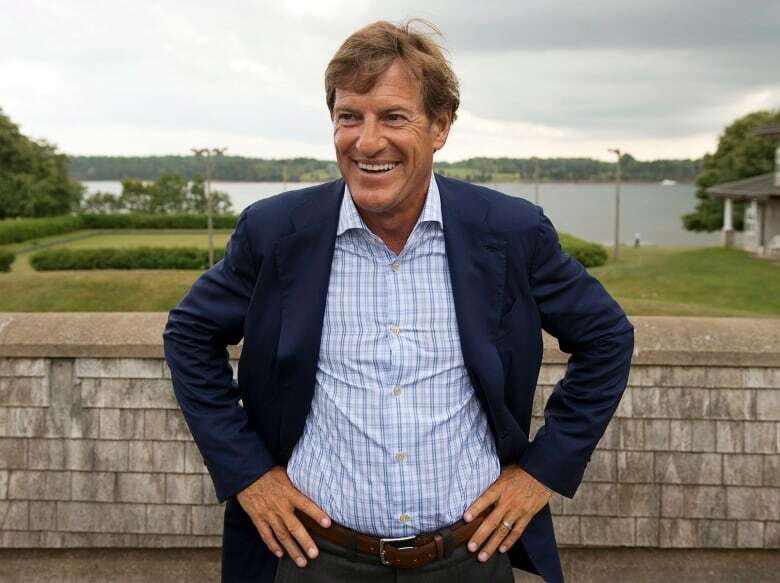 The Paradise Papers show that senior executives of Stephen Bronfman's company, Claridge, were routinely offering advice and arranging business transactions between the Bronfman family and the Kolber Trust. The leaked documents reveal that while Claridge had no official role in the Kolber Trust, most of the initial funding came from the Bronfman family in various forms. Stephen Bronfman personally gave a $5 million US interest-free loan to the Trust in 1997, which was repaid in five months. Over the lifetime of the trust, the Bronfman family and their U.S.-based trusts loaned the Kolber Trust more than $34 million US. And all of it ended up in the no-tax Cayman Islands. Stephen Bronfman and Leo Kolber declined requests for an interview. William Brock, a lawyer representing Stephen Bronfman and Jonathan Kolber, denied any impropriety. "My clients have always acted properly and ethically, including fully complying with all applicable laws and requirements." He stated that any "suggestion of false documentation, fraud, 'disguised' conduct, tax evasion or similar conduct is false." Offshore trusts can be perfectly legal. They are not subject to Canadian law so long as they meet certain conditions. And for the Canada Revenue Agency, the most important rule for offshore trusts is that they really did have to be offshore — that's where the decisions, the so-called "mind and management," had to be made. 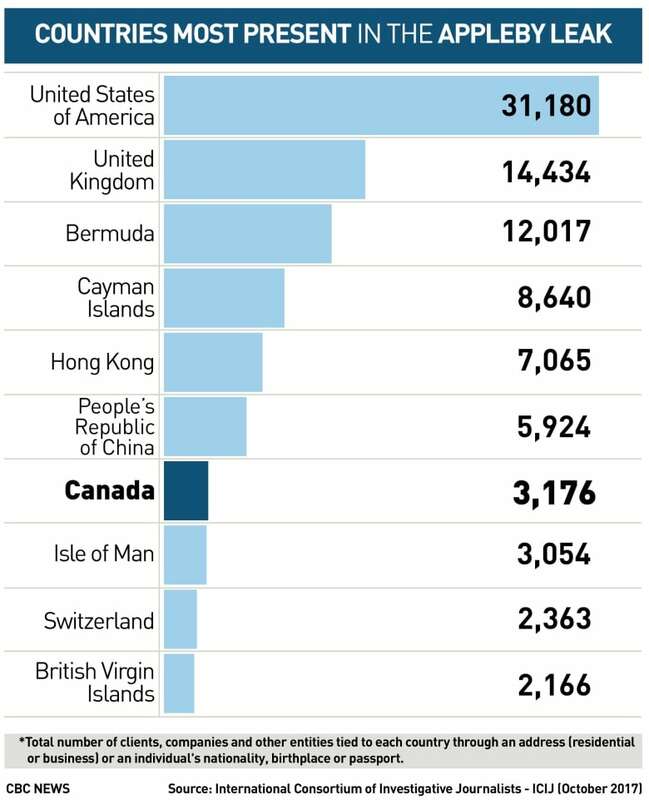 Yet the Paradise Papers — which contain more than 5,000 documents from the Kolber Trust file alone — reveal numerous examples where decisions were made and approved not in the Caymans, but in Canada. There are memos seeking the "approval," "authorization" and "written confirmation" for business decisions from Montreal-based investment manager and accountant Don Chazan. The Paradise Papers also show there are phone calls and meetings in Montreal between Chazan and Jonathan Kolber. Chazan also kept a set of Kolber Trust books in Montreal, two former colleagues told the CBC. "He was the adviser. He's the guy who made the decisions," Jonathan Kolber told the CBC in a phone interview. Tax experts consulted by the CBC and the Toronto Star say that admission could spell tax trouble for the Kolber Trust. "If that's true, then obviously there's a strong argument the trust was managed in Canada and potentially resident in Canada," said Dalhousie tax law professor Geoffrey Loomer. William Brock, the lawyer for Stephen Bronfman and Jonathan Kolber, said that "all investment and other decisions" in the Kolber Trust were made by Cayman Islands trustees. He also denied suggestions that Montreal accountant Don Chazan kept a set of Kolber Trust books in Montreal. "Contrary to your unfounded assertion there was no second set of books," Brock said. However, Rick Doyle, a former vice-president of Claridge told CBC that Chazan was keeping a second set of books. "That's what my understanding [was of] why Don Chazan was there." Ken Shettler, an accountant who worked with Chazan, also said that Chazan did bookkeeping in Montreal, at the request of Jonathan Kolber, who was skeptical of records kept in the Cayman Islands. "He [Jonathan Kolber] didn't have confidence in their accounting so basically we were another set of books." All that activity in Montreal could spark the interest of the Canada Revenue Agency, said Sherbrooke University professor Marwah Rizqy. "If at the end of the day the major decisions are taking place here, the mind in management is in Canada," Rizqy said. If so, said Rizqy, that could have tax implications for the Kolber Trust in Canada. In a second letter to CBC News, Kolber's lawyer, William Brock, said Chazan was engaged by Jonathan Kolber directly, and not through the Kolber Trust, to "confirm that all financial transactions of the Kolber Trust had been properly recorded." The Paradise Papers appear to show that the Bronfmans and Kolbers were themselves concerned about links from Canada to the Cayman Islands and the possible tax implications. One Paradise Papers memo states, "tax advisers for the Bronfmans and the Kolber family advised" that the work of a Montreal accounting firm not be billed as expenses of the trusts. Emails and documents show in 2006, they were concerned about an $81,750 US invoice for work on the Kolber Trust paid out to Don Chazan. The tax advisers recommended the payment be taken off the books and "allocated" instead as "loan repayment" to a third party. "This results in one less formal link between the trusts and entities outside Cayman," says the memo. "That looks very suspicious," said McCouch, the University of Florida tax expert. "It looks like it was intended to mislead. It looks as if it was intended to conceal and to misrepresent the nature of the payment." Kolber's lawyer, William Brock, said there is "nothing inappropriate in noting" there would be "one less formal link" between Canada and the Kolber Trust. Brock stated that essentially all of Mr. Chazan's services were rendered in the Cayman Islands." The Paradise Papers show that Chazan visited the Cayman Islands trust company once a year. In 2007, the Kolber Trust had a tax problem south of the border. Lynne Kolber was living in the U.S., but had apparently failed to declare payments of $1.27 million US out of the trust for the previous decade. She paid the back taxes, but the trust managers devised a plan to make sure that going forward, she would keep getting funds tax-free. CBC used a slightly different methodology than ICIJ and found more than 100 additional Canadian entities in the data. In 2007, Lynne Kolber was removed from the paperwork as a beneficiary. A memo contained in the Paradise Papers stated that Lynne will be "taken care of in other ways" and her brother Jonathan "will arrange to make gifts to her instead." "Jonathan will arrange to make gifts to her instead of the trust making the present distributions to her," the 2007 Paradise Papers document states. Gifts between family members are not taxable in the U.S., so it might have seemed like a simple solution. But McCouch said it may have violated tax rules. "I would think the IRS would be very interested in this," he said, describing it as "precisely the sort of abusive transaction" U.S. authorities have tried to crack down on. The answers CBC News received from Jonathan Kolber's lawyer about these gifts appear contradictory. In a first letter to the CBC, William Brock defended the decision in 2007 to make gifts to Lynne Kolber through her brother, instead of direct "distributions" from the trust. "Jonathan Kolber made gifts to his sister, who is an artist and a writer," Brock wrote. "Making a gift to your sister is not tax evasion and any pretention [sic] to the contrary would clearly be improper." In a second letter, Brock stated that after 2007, there were "no gifts made by Jonathan Kolber." The Paradise Papers also describe how two of Bronfman's senior executives intervened to help sort out another problem Jonathan Kolber was having in the U.S. In 2002 Claridge agreed that a $4 million US loan to the Kolber Trust would be interest free. In the U.S., however, that debt had to be interest-bearing. So the executives at Claridge came up with a plan. Their solution: Jonathan Kolber would get the interest payments back by invoicing Claridge a fee "for services rendered" equal exactly to the interest payments. As one email to Kolber in the Paradise Papers states, the loan was "only in form" and not in "substance." "Well, that's a smoking gun right there," said Rizqy, noting that kind of transaction might have broken tax laws. "Actually, it is very bold to write down." Kolber's lawyer, William Brock, insisted that "no invoices were sent and nothing was paid." But former Claridge executive Rick Doyle confirmed that Jonathan Kolber did indeed invoice Claridge for services. "He started charging services at a small amount," Doyle told CBC News. "We are not talking gobs of money here. He wasn't making a profit on it, he just wasn't losing money at the end of the day." McCouch said there is a legal risk that any such side agreement between Claridge Investment and Jonathan Kolber may be viewed as "sham." "To an observer, particularly a revenue service, it could look like evidence of fraudulent intent." Through his lawyer, Jonathan Kolber said that when the trust was set up in 1991, it was not for tax reasons but because "new residents migrating to Israel were recommended to establish trusts" because of volatility in the Middle East. 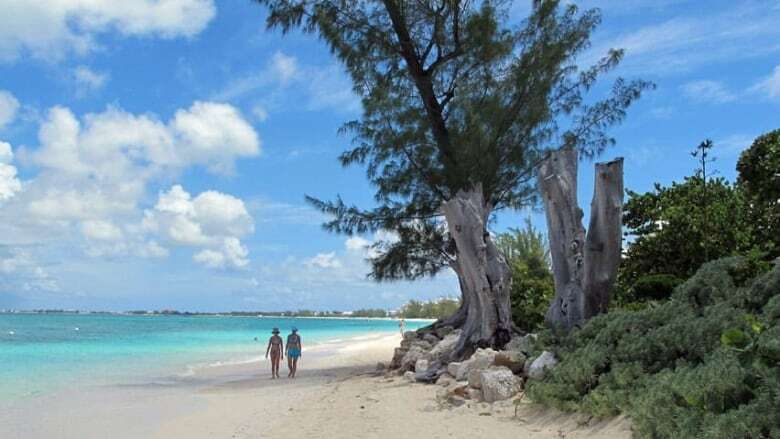 After more than two decades of a tax-free existence in the Caymans, the Kolber Trust faced political headwinds of a different kind in 2013 when the House of Commons passed legislation, retroactive to 2007, that would tax Canadian-sourced contributions to offshore trusts. In 2014, Israel also tightened its offshore trust laws, and by 2016, the Kolber Trust was shut down. The Paradise Papers show that Jonathan Kolber, an Israeli citizen, had been worried his connection to certain investment funds held by the Kolber Trust would present a "major difficulty" with Israeli tax authorities. Kolber and his lawyers decided to prepare a draft "settlement agreement" for Israeli tax authorities. But in so doing, they may have exposed themselves to problems back in Canada. Kolber's disclosure to Israel includes one line that directly links the trust to Canada: "The source of the Trust's assets is the father of the Beneficiary, who is a resident of Canada," the draft settlement stated, referring to former Senator Leo Kolber. The new tax legislation in Canada had targeted Canadian-sourced contributions to offshore trusts. So, did Kolber or any of his Canadian advisers notify the tax authorities in Ottawa about his settlement with the Israelis? "We understand that the application was not sent to anyone in Canada," his lawyer William Brock said. He said that according to their interpretation of the tax rules, Kolber's trusts were never "liable for Canadian taxation." Dalhousie tax professor Loomer said CRA might take a different view on the Israeli settlement, adding there's a possibility millions may be owed in Canada. "I think the CRA would be interested to see that statement," Loomer said. CBC News and the Toronto Star asked Prime Minister Trudeau for a comment on what he thought about Bronfman's involvement in an offshore trust in light of his position as chief fundraiser for the Liberal Party. "Given you are referring to Mr. Bronfman's role in the Liberal Party, I would direct your questions to the party," Trudeau's spokesperson, Cameron Ahmad, said. Liberal Party spokesperson Braeden Caley said the revenue chair is a non-voting position and that Bronfman serves on the party's national board "as a volunteer." His role, Caley said in a statement, has "consisted strictly of assisting the board on matters related to building on the Liberal movement's strong grassroots fundraising support, not policy decisions."